An impressive addition for your kid's room, this South Shore Summer Breeze Twin Mates Bed, Brown, gives your child a comfortable place to unwind, while expanding the storage space! 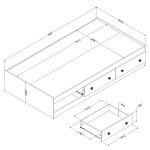 This kids' twin bed features round corners, so will keep your little one from getting hurt while he/she jumps on the bed. Featuring three handled side drawers, this South Shore twin mates bed lets you keep toys, clothing, books and more neatly organized while helping to create a clutter-free look. With a beautiful brown finish, it is designed to perfectly blend with any decor. 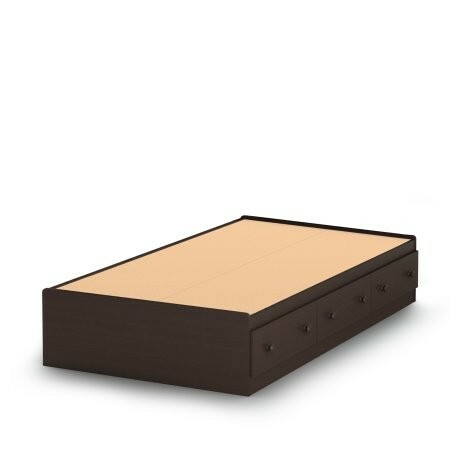 The wooden knobs on this twin storage bed also comes with a brown finish to add to the charm. 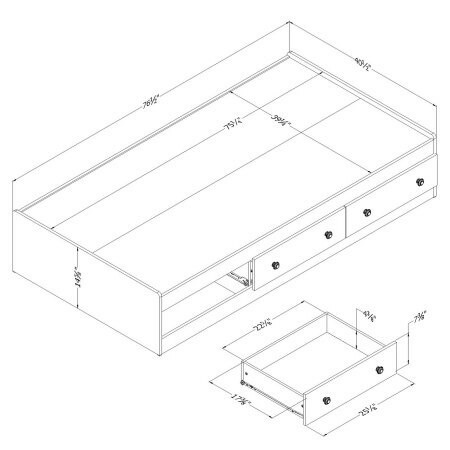 The SmartGlide drawers feature safety stops that ensure that the drawers do not come out of the bed while they are being pulled. 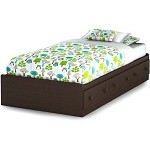 Made from sturdy wood, this South Shore Summer Breeze Twin Mates Bed, Brown, will serve you for years!